The Sahel 20" wheel urban e-bike offers the same quality turbo-charged ride as a 700c wheel Kalkhoff electric bike, but in a more compact, storable format. What's special about the Kalkhoff Sahel Compact? 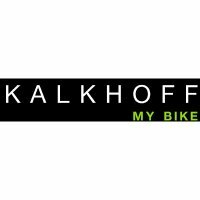 You can buy the Sahel confident in the knowledge that Kalkhoff have sold over 400,000 e-bikes powered by German engineered Impulse motors and batteries. Impulse 2 is Kalkhoff's own Centre Drive system, designed and manufactured in Germany where Kalkhoff are respected as the number one manufacturer of electric city/trekking/hybrid bikes. That's a significant accolade when you consider that Germany is Europe's biggest, fastest growing and most discerning eBike market. The Impulse 2 drive unit is mounted at bottom bracket level (the strongest part of any bike) to power the crank (in contrast with most e-bikes which are front or rear wheel hub drive).